Are you willing to let yourself be pruned? Pruning is necessary if a plant is to produce an abundance of good fruit or beautiful flowers. If, for example, a grapevine is left to grow without pruning, it will produce many small grapes that are good for nothing. But if care is taken to prune the vine, the maximum number of good grapes will be produced. Jesus uses this image of pruning to teach us a similar lesson in bearing good fruit for His Kingdom. He wants our lives to be fruitful and He wants to use us as powerful instruments of His grace in the world. But unless we are willing to go through the purification of spiritual pruning from time to time, we will not be the instruments that God can use. Spiritual pruning takes the form of letting God eliminate the vices in our lives so that the virtues can be properly nourished. This is especially done by letting Him humble us and strip away our pride. This can hurt, but the pain associated with being humbled by God is a key to spiritual growth. By growing in humility, we grow ever more reliant upon the source of our nourishment rather than relying upon ourselves, our own ideas and our own plans. God is infinitely wiser than us and if we can continually turn to Him as our source, we will be far stronger and better prepared to let Him do great things through us. But, again, this requires that we let Him prune us. Being spiritually pruned means we actively let go of our own will and our own ideas. It means we give up control over our lives and let the master grower take over. It means we trust Him far more than we trust ourselves. 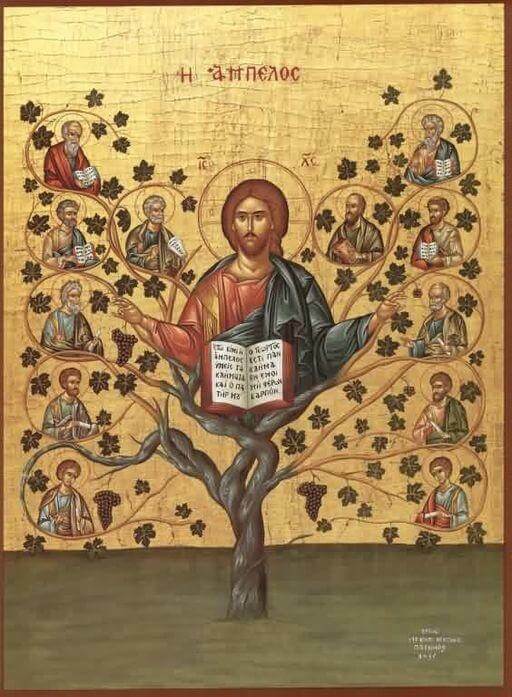 This requires a true death to ourselves and a true humility by which we acknowledge we are completely reliant upon God in the same way a branch is reliant upon the vine. Without the vine, we shrivel and die. Being firmly attached to the vine is the only way to life. Pray this day that you will let the Lord prune away all that is not of Him in your life. Trust in Him and His divine plan and know that this is the only path to bearing the good fruit God wants to bear through you. Lord, I pray that You prune away all my pride and selfishness. Purify me of my many sins so that I can turn to You in all things. And as I learn to rely upon You, may You begin to bear an abundance of good fruit in my life. Jesus, I trust in You.